Students will take part in as many of the following activities as they are able. We understand kids have lots of commitments to sport, music, school and have different amounts of time to devote to chess. Everything we do will be posted on the NZ Chess Academy website for students to download and review. This makes it a valuable experience for players who are in regional areas or on holiday and cannot get to any weekly in-person training-meets. We have broken Chess down into a number of key learning areas. Typically each session will be made up of multiple learning areas in a single session so kids get lots of variety. It is important for us to work within the limits of the attention span of the child. Each learning area will have a practical hands-on component so students can apply what they have learned. The NZ Chess Academy program is comprehensive and has good structure so you can be confident they will not be gaps in student knowledge. Lessons build on each other progressively extending and challenging students without overwhelming them. The program develops understanding rather than wrote memory. This is the secret to being great at chess! Hundreds of professionally edited videos will be made available to students throughout the program. In addition, we have composed hundreds of puzzles focussed around each of the learning areas. The more practise students have the better! Videos and puzzles are made available to students each week through the secure Members Centre. You can view a few examples of our training videos in each of the learning areas. From time to time participate in mini-tournaments amongst squad members and other academy groups. There are multiple academy programs, called STAGES designed to suit each students' level of skill in chess. When you play in Chess tournaments, you gain a Chess Rating which is a measure of your Chess strength. When you win against stronger opponents, your Chess Rating increases. Most juniors are rated between 200 - 1500 rating points but there are a few juniors in New Zealand rated over 2000 points! The current World Champion of Chess, Magnus Carlsen has a Chess Rating of 2863! If you have played in a Chess Power event in the past you will have a Chess Power rating. You can check your Chess Power rating at the Chess Power rating website. For players new to chess, we recommend they establish a base level of understanding before joining the academy. You can do this by playing regularly in Chess tournaments for at least 3 months. You can also find some friends and join the Youth Chess League. 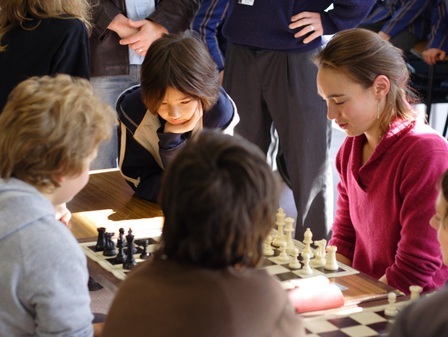 As part of the program will be provide you with coaching at a number of chess tournaments. You will need to make sure you register directly with the tournament organisers/club for any events which you are taking part in - and then let us know that you've registered. 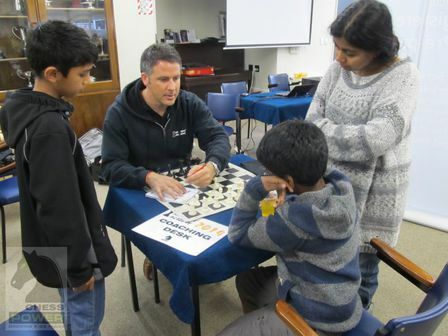 The NZ Chess Academy will not be registering for you. A coach will be available at each of the events listed to provide game analysis, preparation, coaching, psychological and moral support as well as limited supervision. Squad members are encouraged to participate in at least 3 (three) Open Weekender events each year. If you are keen to participate in an event which is not listed, talk to your coach about what we can do to support you.